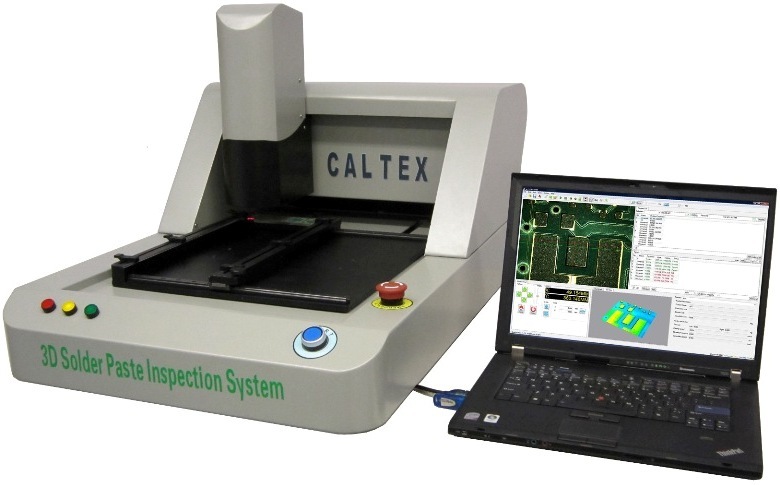 Fully automated 3D solder paste inspection, bench-top, low cost system for SMT process. Fully programmable and automatic. 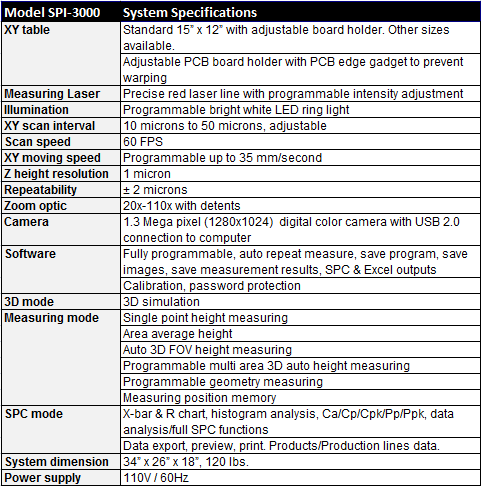 The whole board inspection takes only minutes and results are presented with SPC. 3D viewing of scanned solder paste is created for better visualization of screen printing in a three dimensional viewing model. Click and drag to view from any angles, any orientation. Color contrast highlights 3D morphology of solder paste printing.